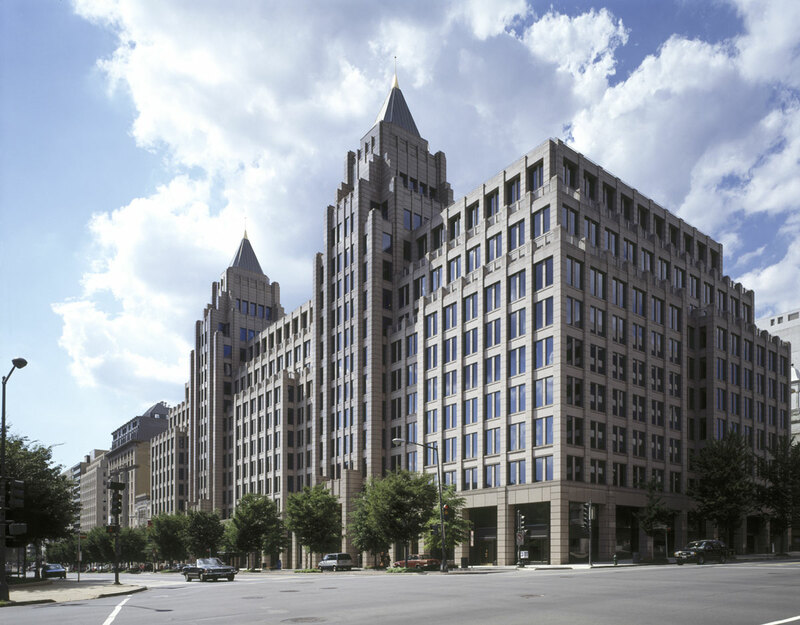 In 1996, Hines and the General Motors Pension Fund acquired One Franklin Square, a major office building located at 1301 K Street N.W. in downtown Washington, D.C. 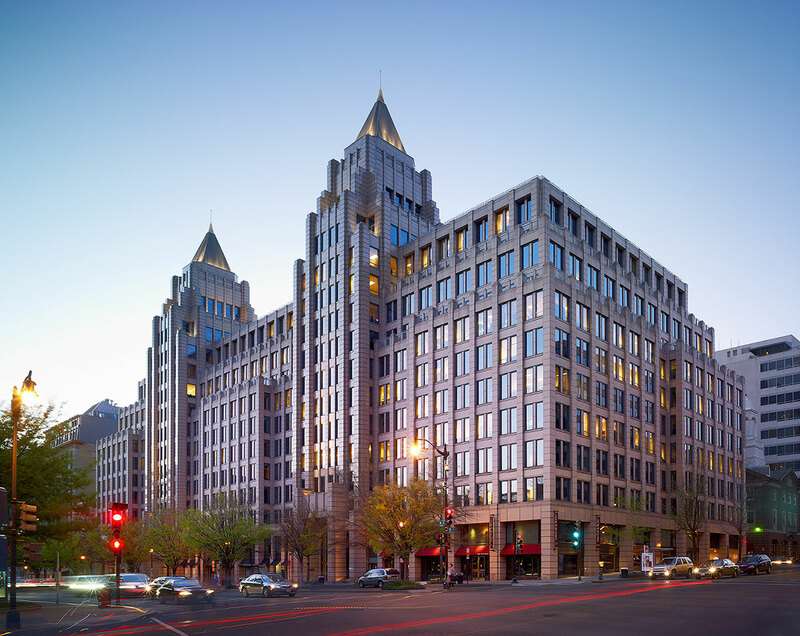 The 12-story, 600,000-square-foot building was purchased from the Prentiss/Copley Investment Group. 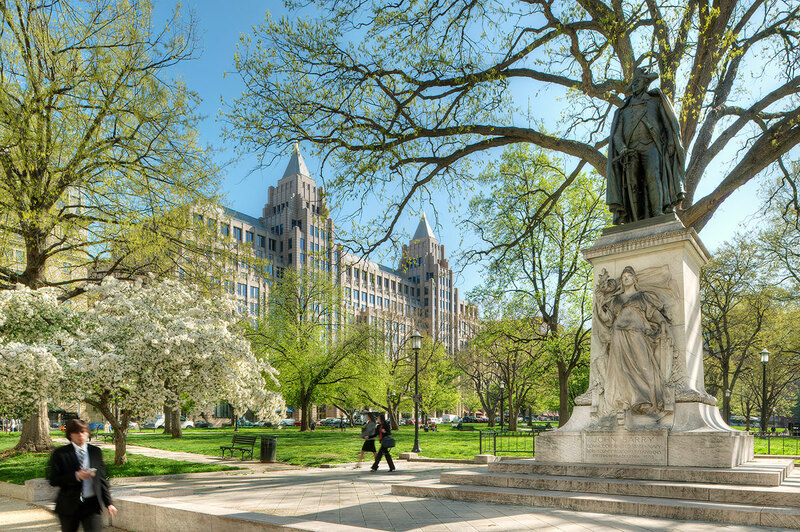 Originally completed in 1990, One Franklin Square's distinctive design and prominent location on Franklin Square make it one of Washington's most identifiable and iconic office buildings.